Rosemead Eye Center (Rosemead) - Book Appointment Online! 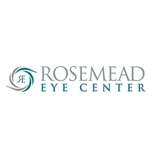 Rosemead Eye Center is a medical practice with basic eyecare needs to emergency needs. We do not take walk-ins as Dr. Lai may be in surgery. You must make an appointment. Dr. Lai was very professional but friendly. He was the first ophthalmologist (in my 50 years) who cared to explain to me that treatment for dry eyes can be with either water or oil... and that the blurriness can be caused by dry eyes. And I thought it was simply from aging! Lol. Office was super clean and staff was extremely friendly. Would highly recommend!